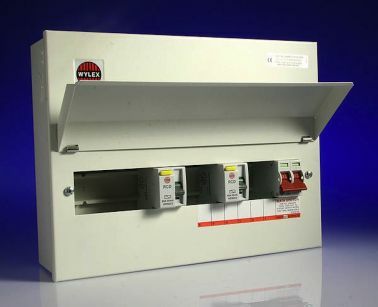 Here you'll find our range of 16th Edition Wylex Consumer Units available to buy online - please note that we also stock the latest 17th edition Wylex consumer units, which are manufactured to the very latest in electrical safety regulations. These 16th Edition consumer units are available in a wide choice of types, from 6 Way to 17 Way depending on the number of modules you require for your installation. Being manufactured by the highly reputable Wylex brand, you will therefore be able to trust their excellent quality of manufacture - we offer a minimum one year guarantee on all products ordered online. We also offer Free Delivery on orders over £49 - the majority of these 16th edition Wylex consumer units fit into this price range; so take advantage of Free Delivery when placing your order online today!